Head to the beautiful district of Belem for a 3-hour historical walking tour. 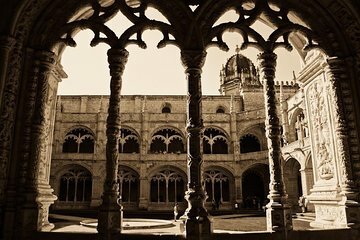 Learn about Portugal’s ‘Age of Discovery’ and visit key landmarks such as the Jeronimos Monastery, Belem Tower, the Age of Discoveries Monument, and, of course, the famous Pastel de Belem Cafe. Walk along the banks of the Tagus River and take in the beautiful scenery during your tour.